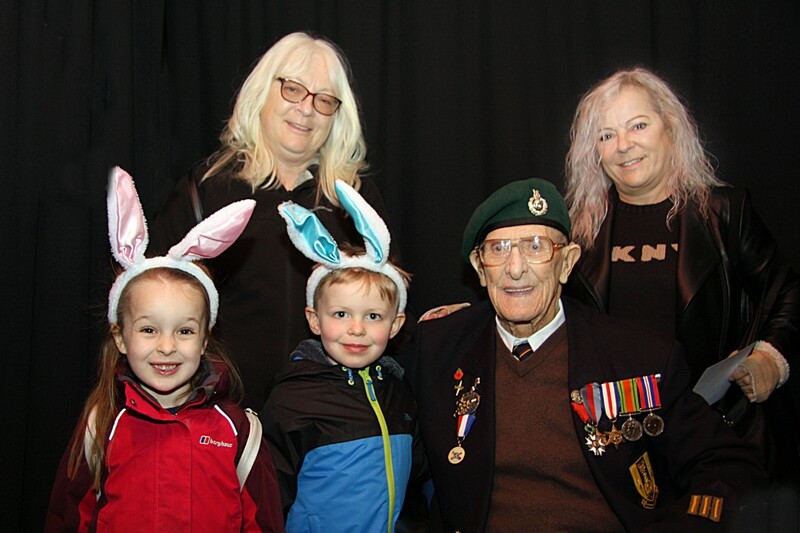 A second world war veteran Ted Owens spent time over the Easter weekend with us here at the museum meeting members of the public and signing photographs. 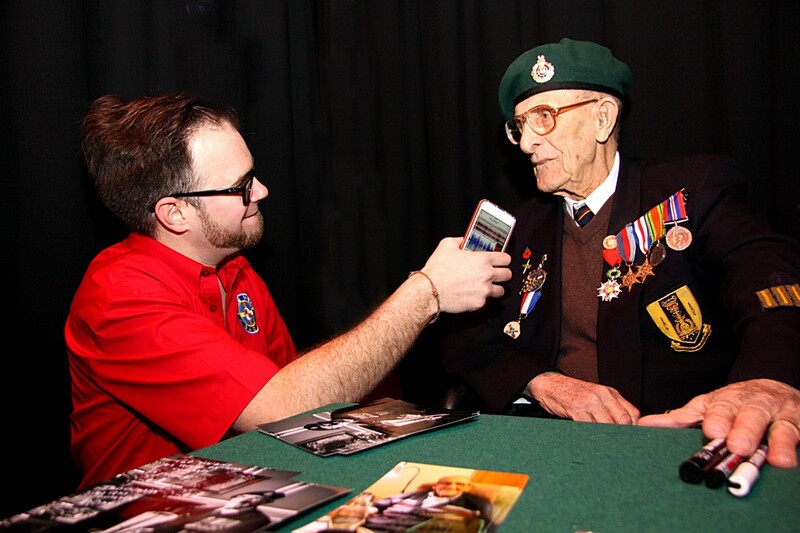 Ted, now 93, fought in the D-Day landings in June 1944, and was our guest for the afternoon. 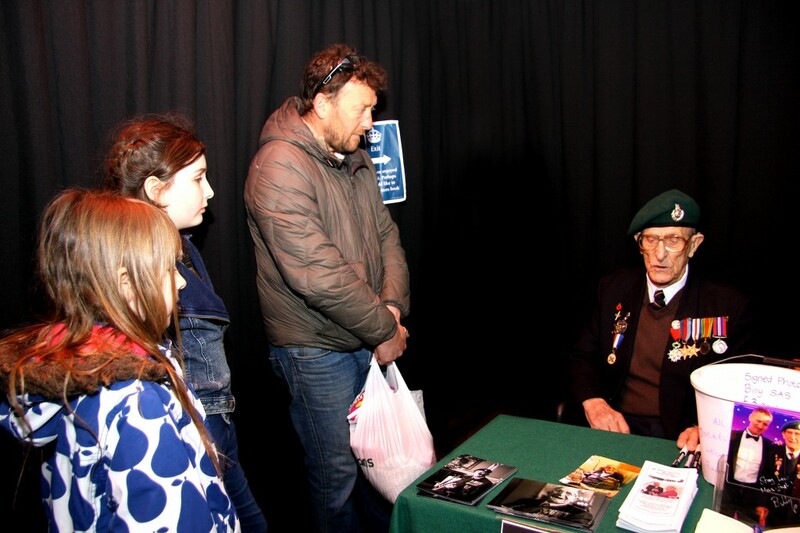 He recalled experiences of both bravery and sadness during this tumultuous period of our history. Ted has an extraordinary story and is a true inspiration. 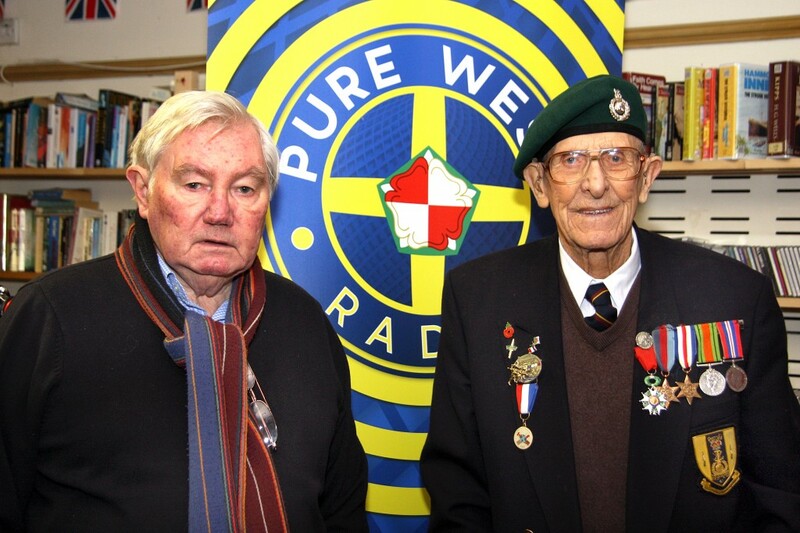 He began the war as a messenger boy in his hometown of Pembroke Dock, before becoming a Royal Marine Commando. 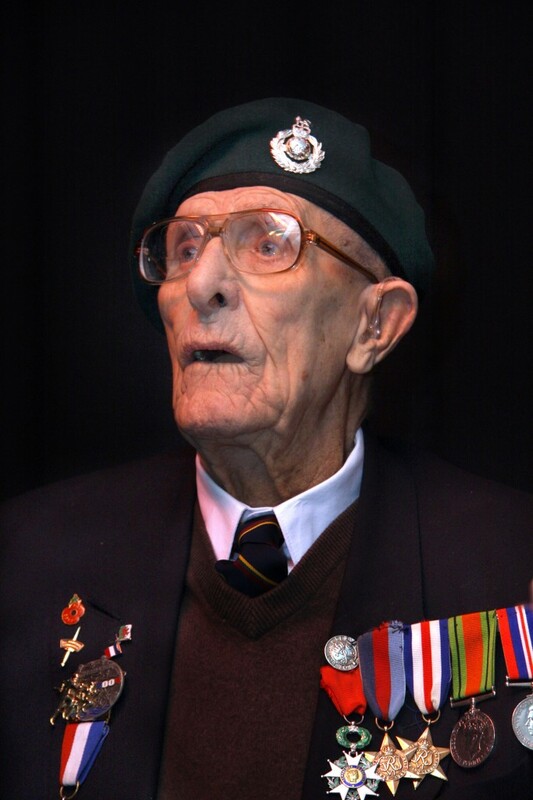 Royal Marine Commando George “Ted” Owens was 19 on 6 June 1944 when he landed on Sword Beach, in France. He was in the first wave of men ashore alongside Lord Lovat. 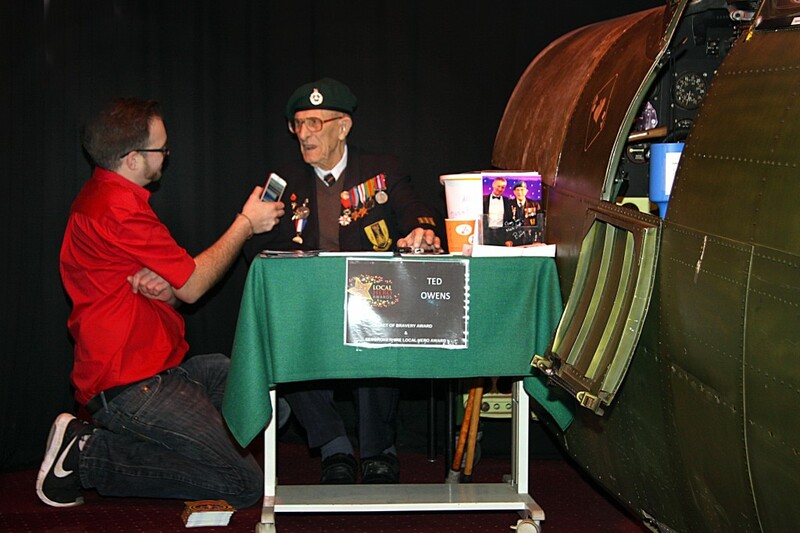 He took cover behind a damaged Churchill tank to return fire but a mortar round hit the vehicle and shrapnel blew him to the ground. his colleagues thought he had been killed until two stretcher bearers turned him over and he moved his eyes. He was immediately evacuated and spent two and a half months in hospital in Caerphilly with shoulder, back and chest wounds. 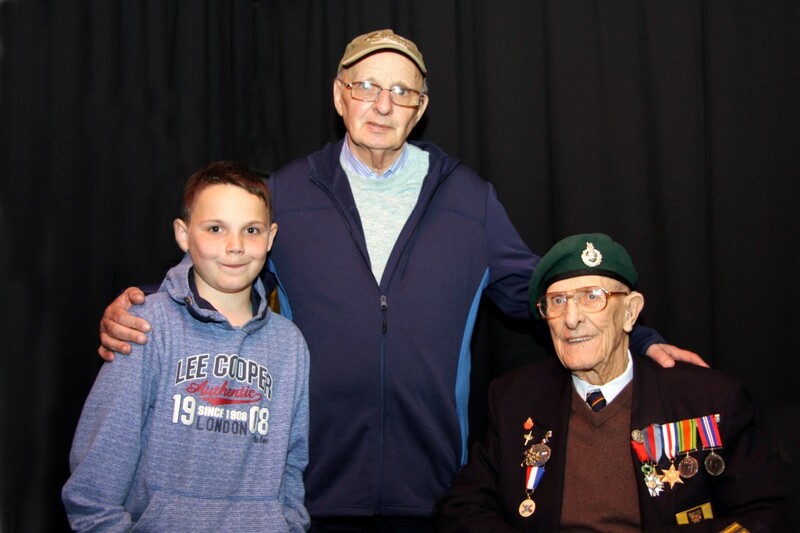 Once he was discharged he was involved in the Battle of ‘Walcheren Island’, in the Netherlands, where he was injured after a colleague in his patrol stood on a German mine, one of the shrapnel ball bearings tore through his knee. 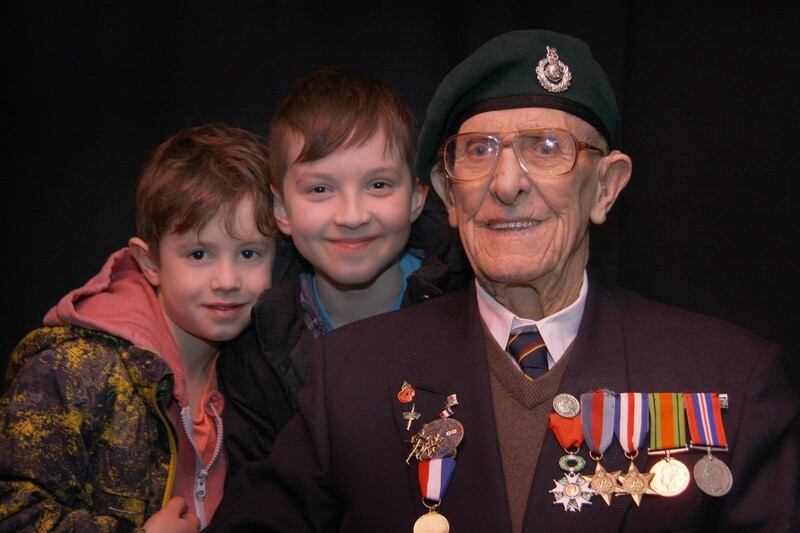 When Ted was fit enough to walk he went straight back into service and joined the Battle of the Bulge, in the Ardennes region, where a piece of shrapnel flew through his neck and windpipe. 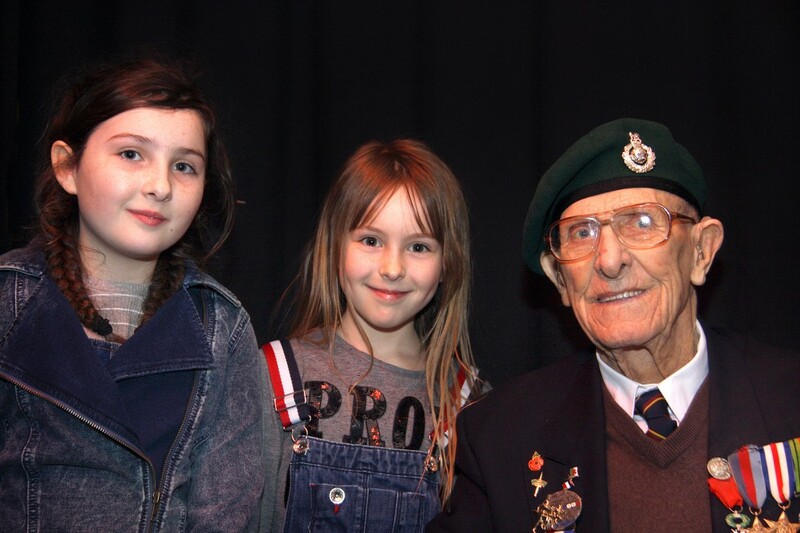 Ted regularly attends events in his regimental blazer and beret, and often spends time with the general public. 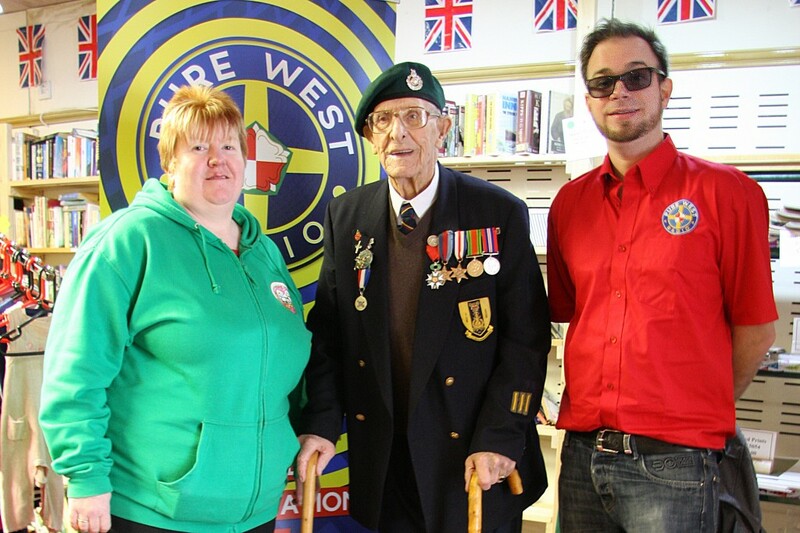 The event was organised in conjunction with Pembrokeshire Care, Share and Give, who hosted a pop-up community bazaar, the VC Gallery and Pembrokeshire’s newest radio station Pure West Radio.